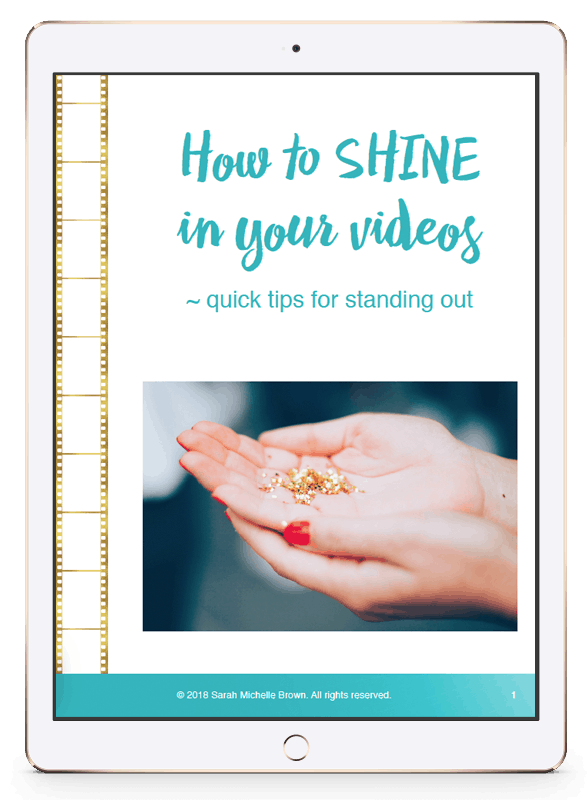 Being a perfectionist when it comes to making videos is a very REAL thing. We want to put our BEST foot forward from the get go. But when it comes to your very first videos, your early beginnings, I want you to know that we’re ALL human; we’re ALL on a journey of discovery + transformation. It’s time to hop in my DeLorean and go back in time! I took a look at the very FIRST video that I made for you when I was a baby ‘preneur. When I look back at it, I look at it with a bit of cringe + a whole lot of compassion. You see as a filmmaker, I came my professional films with the VISION, and then hired a talented crew to make that vision a reality. 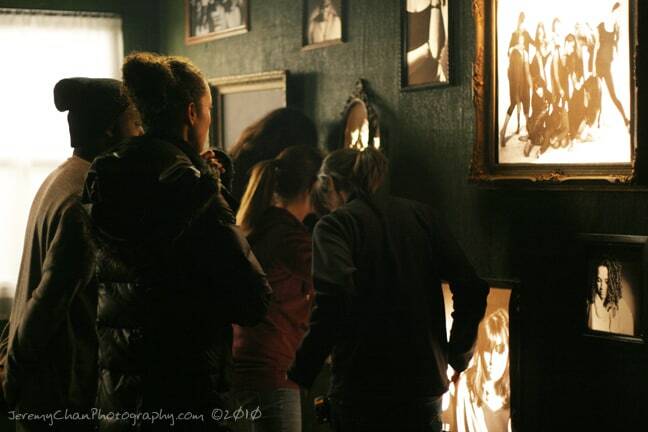 There I am checking out one of the sets for a music video I directed with the star of the shoot, hip hop artist, Shad. I knew that what I created for my biz would never match up to the quality of working with a full team. I’d had 10 years at that point, of exclusively being the filmmaker – and not the whole entire crew AND on-camera talent. But I had to let go of my expectations so I could create videos that could help YOU on your own journey. So frankly, my early biz videos were me learning more about the video roles that I was soooooo accustomed to delegating. Coming from the filmmaking industry, I knew that it would be MUCH easier for me to figure out this stuff than for you. So I set my inner-perfectionist aside and put my imperfect first biz video out there and started my journey. 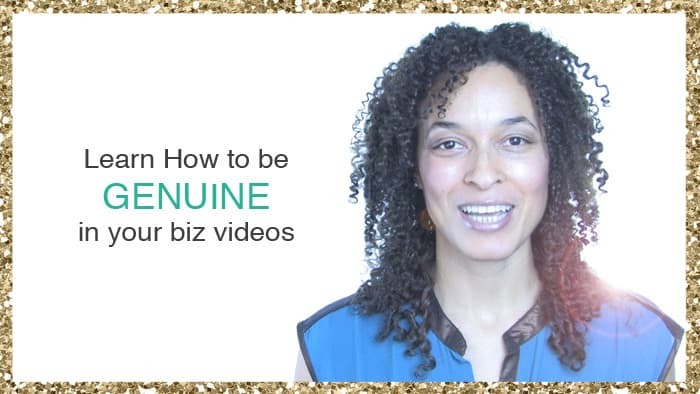 I didn’t WAIT until I’d mastered Do-It-Yourself biz videos to start DOING it. Now, I DON’T recommend that you put YOUR EARLY VIDEOS out there for public consumption if they’re suuuuper awkward and look unprofessional. You may be looking at your own early videos and want to hide your head in a paper bag. You can absolutely start your journey and move forward on your video-making process. All you need is the willingness to begin with results that are highly imperfect. I’ve said it before and I’ll say it again: PRACTICE. You can make practice videos till the cows come home. Taking your own brave #babysteps is the ONLY way to get better at this video stuff. You might watch it and think – Sarah it’s really good. What the heck are you even talking about? I could never create something like this!!!! AND… I’d had 15 years of on-camera experience AND about 10 years of experience behind the camera, when I filmed this. So… I had an advanced starting point. But remember that you’re on a journey and that you can only get better by jumping in, daring to be imperfect and Doing. The. Work. It’s a VERY different level of production compared to the music video. I had to let go of my own perfectionism and knowledge of what I’m capable of in that regard, in order to be able to make videos that mattered to YOU and that didn’t feel completely unattainable. I had to put myself in your shoes to be able to teach you. I had to let go of having a full team’s worth of support, because that’s not how YOU’RE making videos. It’s not about COMPARING starting points. It’s REALLY about simply STARTING. Are you great at public speaking but terrible on-camera? Are you terrified to put yourself out there? Do your nerves take over so much that you completely forget what you were going to say? Are you hard on yourself in your videos? Or do you HIDE entirely from your camera? There’s no right or wrong here. 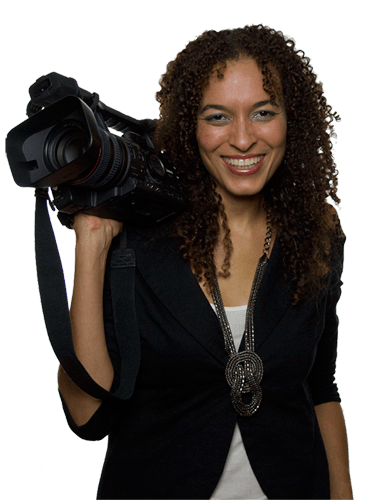 Just let me know about your starting point with your first biz videos.